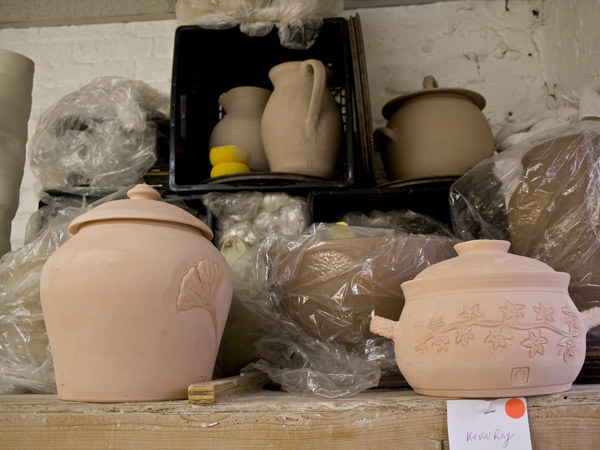 Budding artists and craftspeople can partake in introductory classes like General Pottery and Throwing for Beginners, or learn more advanced techniques like Mold Making and Slip Casting. Advanced students can pursue their own independent projects by purchasing a Studio Passport, allowing them access to all open studios. Student Jill Meltzer hadn’t worked with clay for four years, but has been taking classes since August. “Now I’m here all the time,” she says. “It’s a nice place to get away and it’s nice for me to work with my hands, which is something I have to do—it’s not even a choice!”. For more information and class schedules, visit theclaystudio.org.